Our own Angie Cunningham has been involved with Livingwell Pregnancy Centers for years. 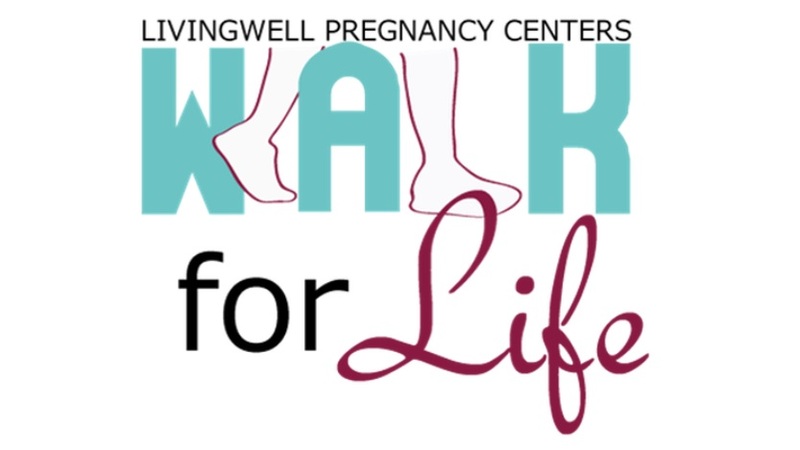 Livingwell is devoted to supporting women who are pregnant or who are considering becoming pregnant and ensuring that their babies, whether pre-born or born, have everything they need to live healthy lives. This Saturday, Angie is joining in on their annual Walk for Life. As a church, we want to surround her with support! How can you support? You can either show up and walk on Saturday morning or you can sponsor Angie. Registration begins at 8:30am and the two-mile walk begins at 9:30am. Mark These On Your Calendars! Easter is always a unique opportunity for Christians. While every Sunday is a chance to remember and celebrate the resurrection, Easter is a chance for the local church to focus in and relish in the reality and the hope-filled implications of our Risen Savior. Take a look at some of the pictures of our celebration of God’s grace through the gift of resurrection life this last Sunday. We skipped ahead in our series in John to chapter 20 as we celebrated Resurrection Sunday. Over and over again in this series, attention has been directed back to John 20:31 - John’s purpose statement for the entire book. What’s the purpose? “That you may believe that Jesus is the Christ, the Son of God and that by believing, you may have life in His name”. The chapter leading up to this statement is a story of Jesus’ disciples and friends moving from ignorance of His resurrection, misunderstanding and doubt … to belief. His resurrection brings knowledge to the ignorant, clarity to the confused and assurance to those who doubt. Jesus rose from the dead so that you might believe in Him. Easter Sunday comes around once every year. It’s an opportunity to get dressed up more than usual. It’s an opportunity to see everything in pastel colors. It’s an opportunity to focus on and celebrate a particular element of the Gospel. It’s also an opportunity to engage with, meet and love our neighbors in a way that we rarely have the opportunity to do. Church attendance on Easter Sunday typically increases dramatically around America. 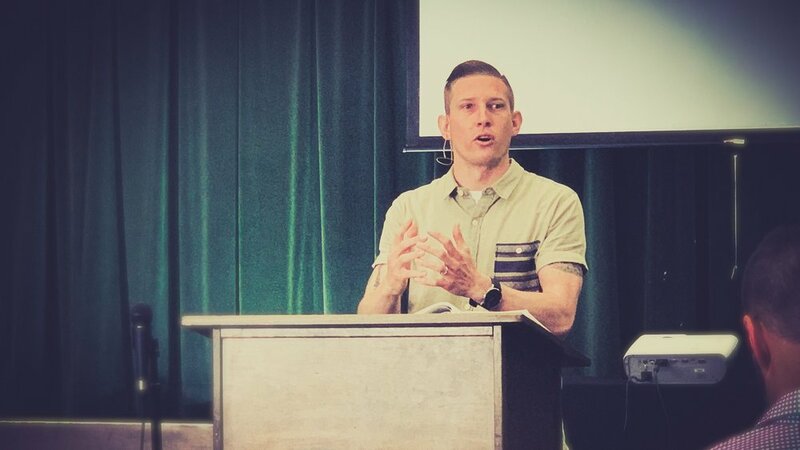 What does this mean for Sovereign Grace Church of Santa Ana? It just means we have another chance to spread the joy of Jesus in Downtown Santa Ana. If you’re serving this Sunday, please make it a priority to come early. We’ll be having an Easter egg hunt for the kiddos and serving pan dulce and tamales at 10:00am. This means that all other setup and rehearsal needs to be 100% completed by 10:00am. Even if you’re not scheduled for setup team, please consider showing up early to assist with setup so that we can be best positioned to meet and serve our neighbors … and spread the joy of a LIVING Jesus. Last Thursday, Friday and Saturday, women from Sovereign Grace Church of Santa Ana and Sovereign Grace Church of Orange gathered together in the mountains of Wrightwood, California to sit under Biblical teaching, commune with God and spend some undistracted time in one another’s company. It’s important that the women among us have times like this to step away from the daily routine and “retreat” to be alone with God. These times are special and valuable. They’re even better when we get to do them in partnership with those with love from our sister church in Orange. Praise God for His work in and through this year’s women’s retreat and for the women He put in place to plan and execute it! If you’re planning on attending or inviting a guest to attend our women's meeting this month, it has been moved in light of the “Living in an LGBTQ+ World” seminar on Thursday, April 25. The time (7pm) and location (Houlton home) will remain the same. This past Sunday, our very own Jeff Schlieder stood behind the pulpit and preached the “Word of the Cross” from 1 Corinthians 1:18-31. He reminded us that the Word of the cross that defines us as Christians is despised by an unbelieving world. And it makes sense why: because it appears foolish, it appears to center on a weak person and is meant for people who are unremarkable in every way. Yet, the Word of the cross is where God’s wisdom is displayed most clearly, His power is shown most poignantly and where insignificant sinners find identity, belonging and worth. If you haven’t yet, sit down with a pen and a journal and listen to the message. it will be worth you time.